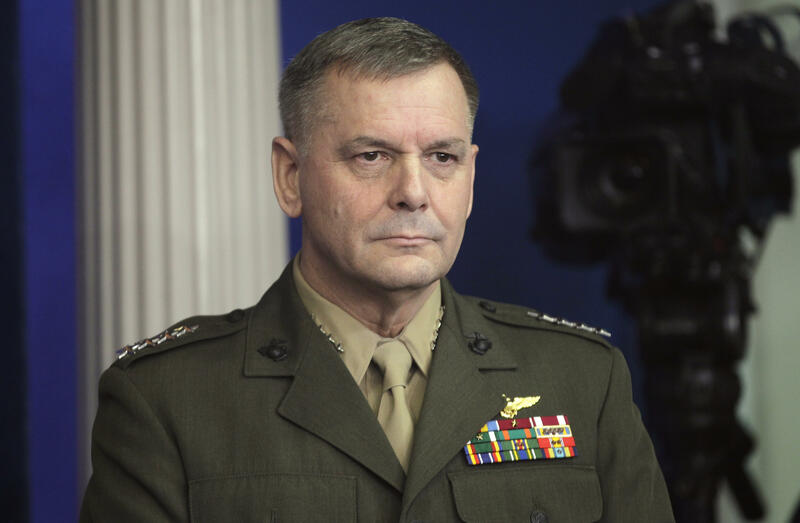 WASHINGTON -- Retired Marine Gen. James Cartwright pleaded guilty to 1 count of making false statements to federal investigators in a case that raises issues about reporter-source confidentiality. Cartwright falsely told investigators that he was not the source of classified information contained in a book by New York Times journalist David Sanger, according to charging documents unsealed by prosecutors. He pleaded guilty to a felony offense that carries a max sentence of 5 years and a $250,000 fine. Government and defense recommend an appropriate sentence would be from 0-6 months. Sentencing was set for Jan. 17, 2017. Neither the book nor the classified subject is identified in court papers. But Sanger has written about a covert cyberattack on Iran’s nuclear facilities and the use of a computer virus called Stuxnet to temporarily disable centrifuges that the Iranians were using to enrich uranium. The U.S. Attorney’s Office in Maryland announced the case on Monday. Prosecutors say Cartwright was charged via criminal information, a document that is filed with a defendant’s consent and that signals that a plea agreement has been reached. Gregory Craig, an attorney for Cartwright, had no immediate comment, but his office said he would issue a statement later Monday. Cartwright, 67, was vice chairman of the Joint Chiefs of Staff from 2007 until 2011, and was considered a key close adviser to Obama. As the vice chairman of the Joint Chiefs of Staff and the second-highest ranking military officer in the U.S., Cartwright was privy to issues at the center of national security. A former fighter pilot, the Marine general was known for his expertise in the more highly technical areas of cyberwarfare and America’s nuclear enterprise.